Link the white team messy after mess, sometimes winning that way and others, not like yesterday. Because neither the vaunted examination before Zinedine Zidane seems to motivate a depressed staff, with lead in the legs and a decadent air that scares the fan. Much merit the Madridista who last night gave up processions, dinners, series premieres or holiday activities more suggestive to see their players play. In addition, the problem of Madrid is that opposite, in this relegation league, will always find a rival that, with little, will have more to play than him. For example, the Leganés, wanting to certify the permanence. It is not that the local team came out to bite, much less, but it was enough to maintain order for the giant to get bored of himself a little more than he already was before the game. With little, the team of Pellegrino went to rest ahead. It was enough for him to tighten ranks in the middle and back, and hope that those couple of strikers who spend, Carrillo and Braithwaite, gave fatigue to an orphan behind Sergio Ramos. In the last minute of the first part, the Danish striker who arrived in the winter market tampered with a ball fought in the area. Astute, in the tangle he knew how to lower the ball and give way back, so that Jonathan Silva adjusted with finesse to the right post of Keylor Navas. Goal and joy in Butarque for the excessive prize for a frightful first part in vistosidad, marked by the wind that usually shake this hill where the stadium of Leganés is located. Land of orchards, streams and humidity that made populate medieval towns that today are authentic cities, even with equipment in First Division. The Madrid changed the field to the owner of the lawn looking for Eolo to throw a little hand in the ugly league night that he had to dispatch, nostalgic for the music of the Champions that today others hear. But the air was rebellious, without fixed direction, to the annoyance of Modric, Isco or Carvajal, the only ones who tried to look for Asensio or Benzema. The Mallorcan had the best chance of the first part, orienting himself very well the ball in the area, but shooting loose and badly. Keylor suffered from the weather in the serves and Marcelo clashed with the blanquiazul rigor, neat and hardworking the host. A pair of head-butts stung by strong gusts of wind complicated the lives of the Zidane goalkeeper. 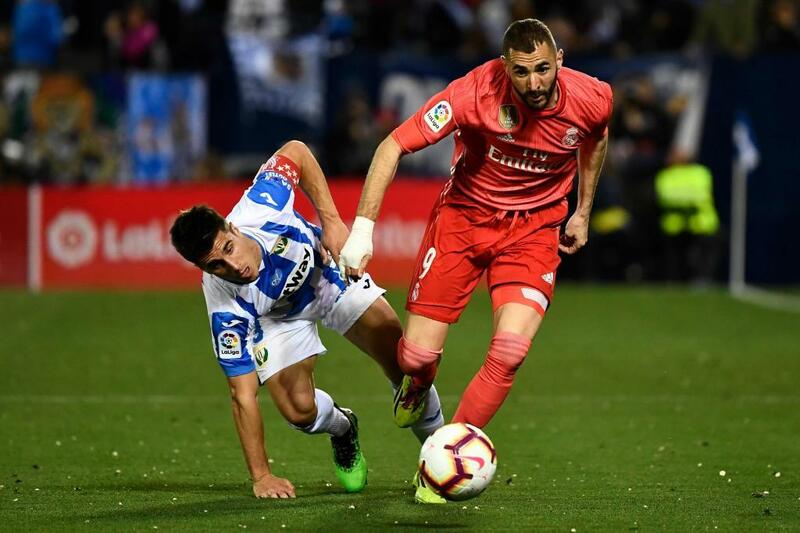 Only Benzema maintains a certain height in this Madrid punished to the catacombs of the season. The Frenchman dares to take the long ball and look for the slalom or the dribble. The pain for him is that perhaps his most complete course is in the dark room of the club's recent history. He tied in a double-shot play: the first after a good maneuver and the second running at the rebound. The last five goals of Madrid have been his, for a total of 27 in the season. Powerful figure. At his side, Asensio tried to win with a pair of shots that Cuéllar hit to clear, to draw that bland draw Monday night. Real MadridThe Zidane revolution for this summer: "I want things and they are going to do"
New Zidane stage: "Isco and Marcelo are ready to play"